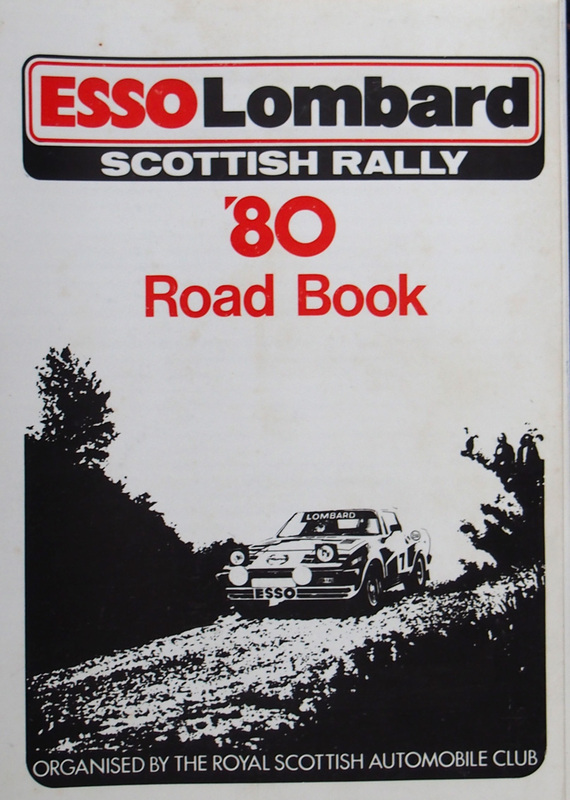 With the RSAC Scottish Rally coming up this Saturday, I came across this Roadbook from the 1980 Esso Lombard Scottish Rally. And if you still think rallying will survive its current threat, the sad fact is that rallies are getting shorter and fewer. 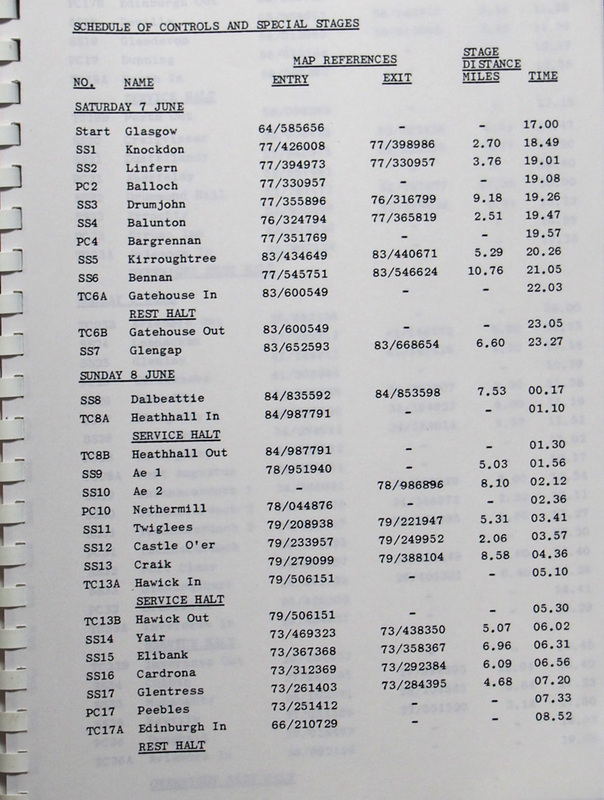 The three roadbook pages (pictured) give some idea of the endurance challenge that competitors faced 35 years ago, and this was the new ‘compact’ international Scottish Rally! For a start, co-drivers, or should I say navigators as they were in those days, would need 21 ‘one-inch’ OS maps to plot the full route. Multiply that by the number of chase and management cars and service vans and the team could be facing a bill of at least 420 quid in to-day’s money just for maps. 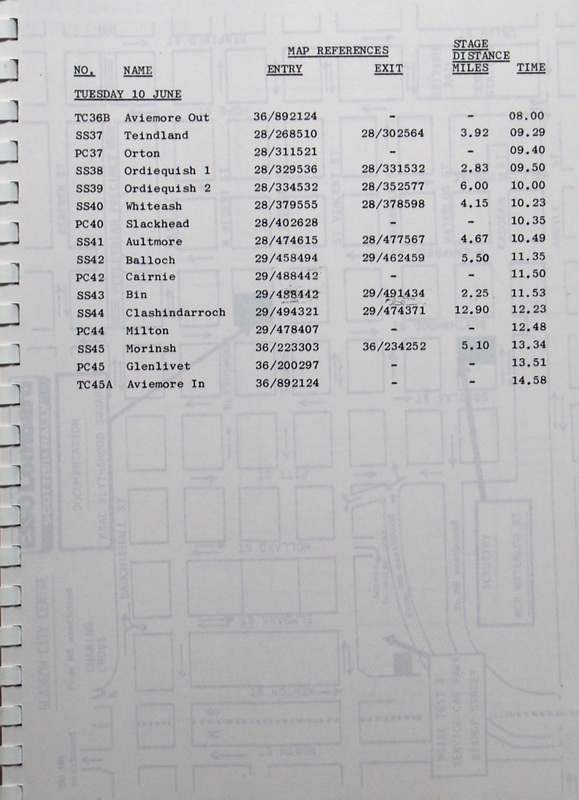 That makes a DVD and Notes sound cheap these days, although some crews did compromise and used quarter inch maps for support vehicles and crews, which made a considerable cost saving. 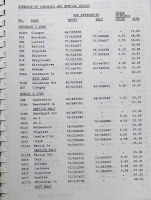 On Saturday there will be just 7 stages totalling 43 miles stages, but 35 years ago, there were 45 stages totalling some 245 miles over four days. 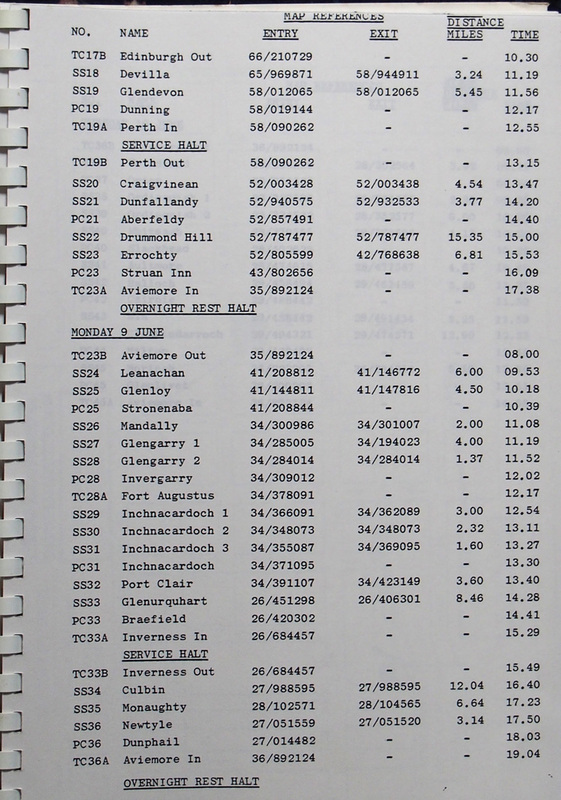 Bad enough, but take a close look at the timetable, it allowed for just two nights in bed. Nowadays that wouldn’t be allowed with all the health and safety, and driving experts pitching in their poundsworth. Spoilsports. And remember this was a time when there were no centralised service areas and mobile phones, while fast food joints were few and far between. The nation’s chippies were the lifeblood of travellers in those days. Crews had to be self contained carrying jerry cans and welding equipment, tools and trolley jacks, while roof racks were loaded down with wheels and tyres. The rally got underway at 5.00 pm on the Saturday evening in Glasgow contesting 6 stages on the way south to a one hour rest halt at Gatehouse of Fleet before tackling another 11 stages through the south and borders on their way to a 2 hour rest halt at Edinburgh before heading north via another 6 stages to the overnight halt at Aviemore 24 hours after the start. On Monday, another 13 stages took crews north through the Highlands before returning to Aviemore for an overnight halt before the final day’s 8 stages, returning to Aviemore for the mid afternoon finish. And if you ever wonder why the Aviemore parties were so boisterous and drink fuelled – after that lot, folks were ready to paa-rrty!! Youngsters these days, they just don’t know they’re born, eh?